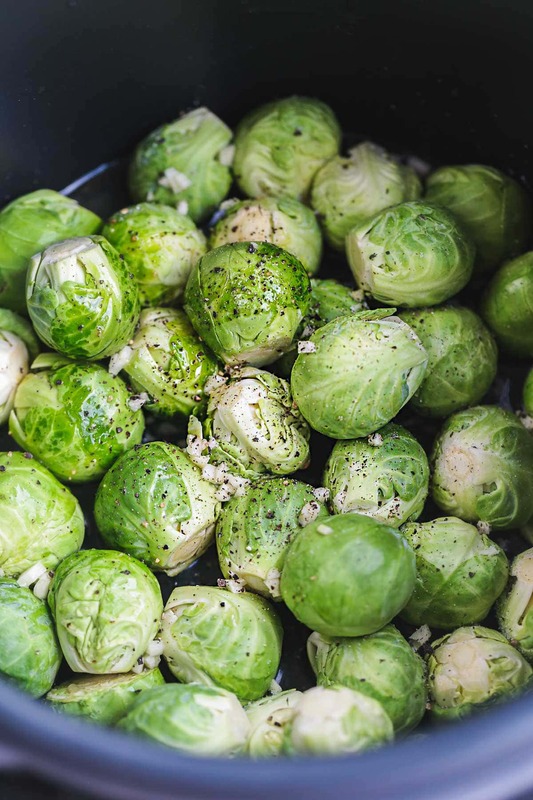 Low-carb Instant Pot brussels sprouts side dish to be served on your next holidays family dinner! This recipe is family friendly as it’s loved by adults and kids alike. It’s also perfect to go with your weekend dinner or meal prep for the week. 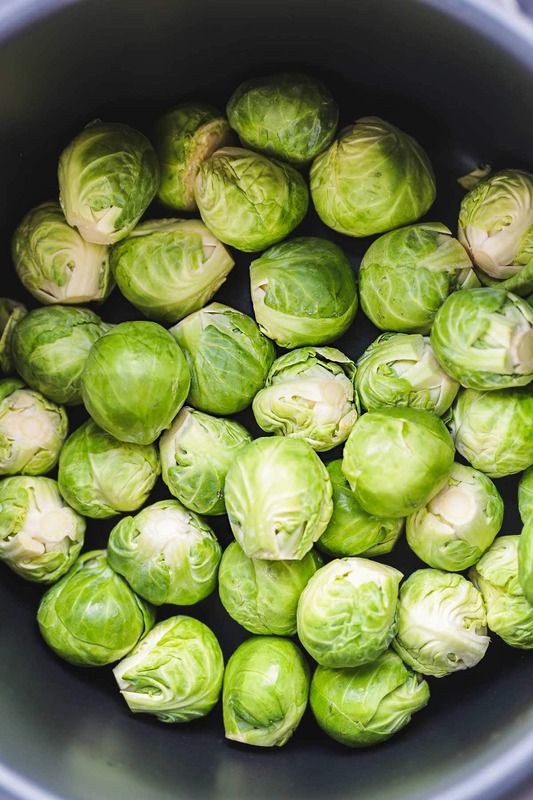 Love brussels sprouts and looking for a quick and delish side dish that can be made in the Instant Pot? Then you will love this simple brussels sprouts recipe! I make this every Easter, Thanksgiving, and Christmas! The brussels sprouts turn out so tender that they melt in your mouth, yet they’re not mushy or overcooked! 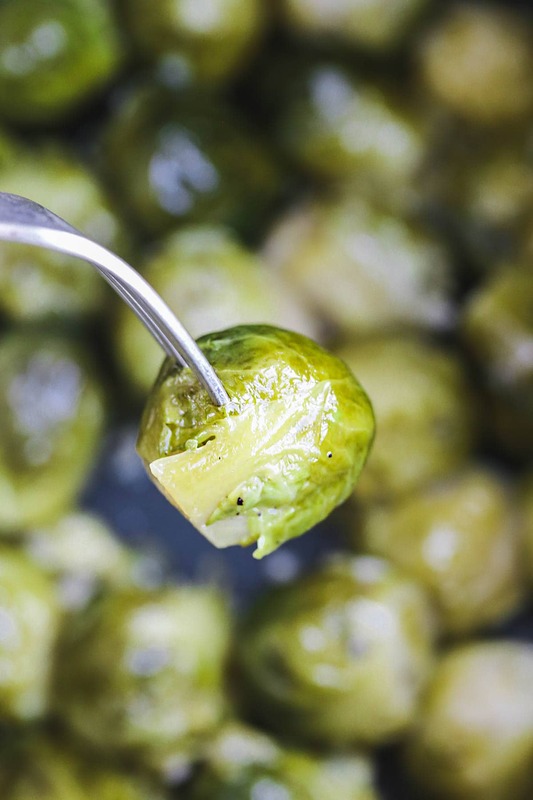 In this post, I will give you 3 ways to make brussels sprouts in the IP. It depends on how “roasted” you want your brussels sprouts to look. If you want that lovely roasted and crispy look, then you’ll need to saute the brussels sprouts first until golden, and then cook them in the IP on high pressure in a vegetable stock. Alternatively, you can simply cook them in the IP in tasty vegetable stock, with garlic, salt, and pepper until soft and tender. First, cut the ends of the stems off. Then, decide whether you would like to leave them as whole or cut them in halves. I only cut in half when they’re too big. If you decide to cut them in half, then reduce the cooking time by 2 minutes. Then, depending on how “roasted” you want your brussels sprouts to look. You can either saute them in the IP with olive oil and garlic until they’re golden, then add vegetable stock and cook on high pressure for 3 minutes until soft and tender. Then do a quick release and serve. The easier way is just to dump everything in the Instant Pot and then cook on manual – high pressure for 3 minutes then do a quick release and serve. Sometimes I like to jazz things up a little and add crispy bacon to my brussels sprouts. The best way to do this is to steam the brussels sprouts using a steamer basket and 1/2 cup of water, steam on high pressure for 3 minutes. After they’re steamed, get rid of the liquid and saute a diced shallot with bacon in butter, then add the brussels sprouts and cook for a few minutes. 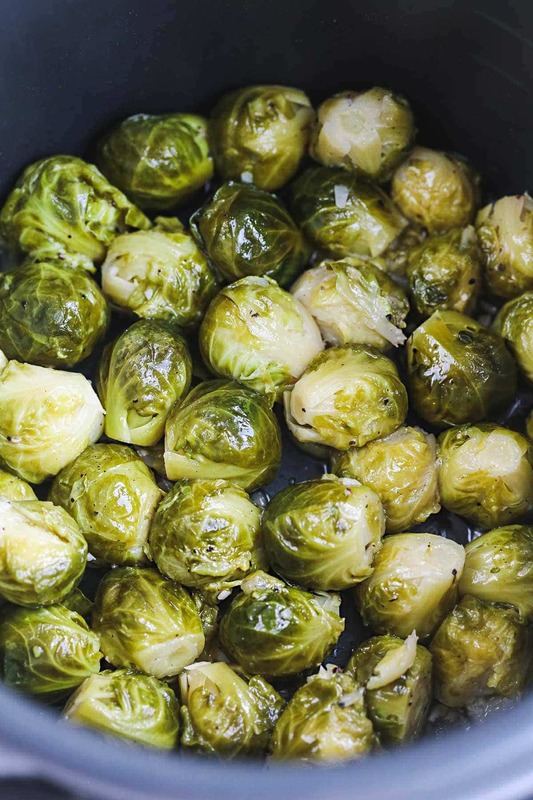 If you prefer crispy and roasted brussels sprouts, add 1 tbsp of olive oil to the Instant Pot, click on saute setting for 3 minutes. Cook the garlic for one minute, then add the brussels sprouts and cook for a couple of minutes until golden. Alternatively, add all of the ingredients to the Instant Pot. Cover with the lid, and seal. Cook on manual - high pressure for 3 minutes. Once the cooking is finished, do a quick release for the steam. Open the lid and serve. 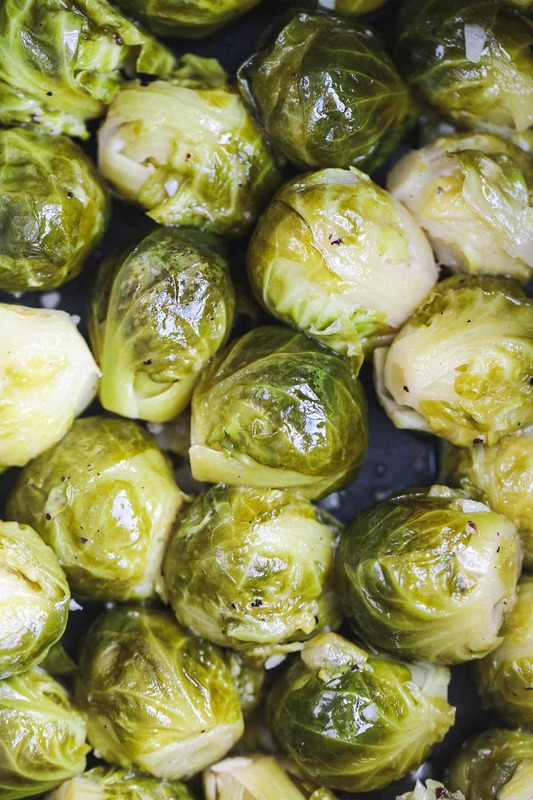 If you decide to cut the brussels sprouts in half, then reduce the cooking time by 1 minute. If you cut the brussels sprouts in half, and then saute them. Pressure cook for 1 minute if you want them soft and tender, or 0 minutes if you prefer them al dente.